You’ve heard the clichés: A draft class can’t be truly judged until three or five years down the road. But guess what? It’s been five years since (now former) general manager Ted Thompson brought in the Green Bay Packers’ 2014 draft class, so grades are due. And we’ve got our red pens out. 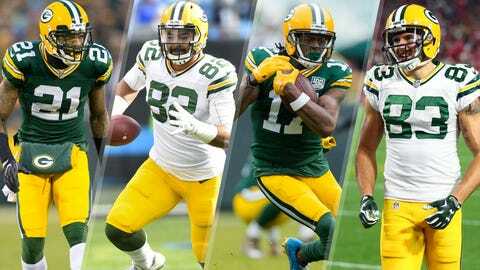 The 2014 NFL Draft produced a few things for the Green Bay Packers: A star receiver, a dependable lineman, two Hail Mary catches and another draft pick, among other things. Almost five years after the fact, we're taking another look back (check out our three-year 2014 draft grades) at this draft class. The last time we checked in with Clinton-Dix he was coming off career highs and his first Pro Bowl nod, having developed into one of the Packers' better defenders. Now he plays for the Chicago Bears. This certainly wasn't by design. 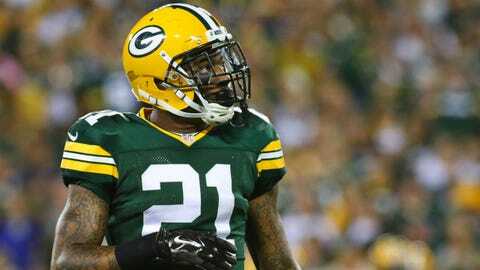 The Packers dealt Clinton-Dix to the Washington Redskins in October for a 2019 fourth-round pick, a deal which raised a few eyebrows, considering that he had three interceptions in seven games at the time. He signed a one-year deal with Chicago in free agency, while the Packers turned around and signed Bears safety Adrian Amos the same day. A fourth-round pick isn't nothing, but it's also probably not a Pro Bowl safety, even if Amos helped balance the deal after the fact. Prior to the 2014 draft, a blurb on NFL.com attributed to Nolan Nawrocki dubbed Adams "a poor man's Michael Crabtree." At the time, it wasn't a particularly unkind comp. These days, it's downright nasty. 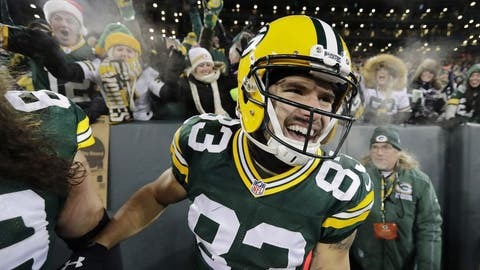 Adams broke out last season, finishing seventh in the league with 1,386 receiving yards and replacing Jordy Nelson as Aaron Rodgers' top red-zone option with 13 touchdowns. Crabtree has 1,225 receiving yards and 11 touchdowns in the past two seasons combined. The ninth receiver selected in 2014, Adams ranks fifth in career receiving yards in that class, behind Mike Evans, Odell Beckham Jr., Brandin Cooks and Jarvis Landry. Only one of those receivers (Landry) went later in the draft. Thornton spent most of 2014 on the shelf with a hamstring injury, and was cut loose ahead of the 2015 season. He bounced around the league for a bit, including stints with the New England Patriots, Detroit Lions and New York Giants, and is currently a free agent. That Hail Mary grab back in 2015 was the high point of Rodgers' Packers career. He racked up 510 receiving yards and eight touchdowns that season. That wasn't enough for the Packers, who brought in Martellus Bennett and Lance Kendricks ahead of the 2017 season, then Jimmy Graham and Marcedes Lewis the following year. Rodgers signed with the Philadelphia Eagles in 2018. 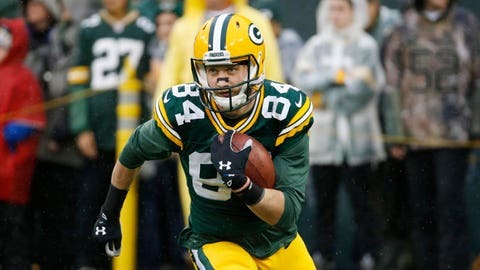 Bradford was cut and signed to the Packers' practice squad twice before debuting in 2016, appearing in four games. 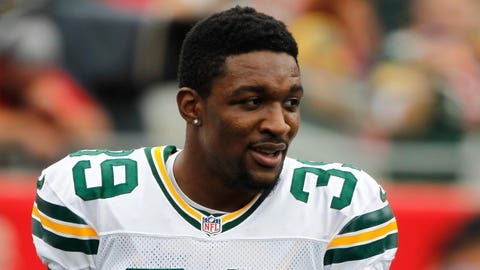 He was released later that year and bounced around the NFL for a bit before signing with the AAF's Arizona Hotshots. The league shut down in April. 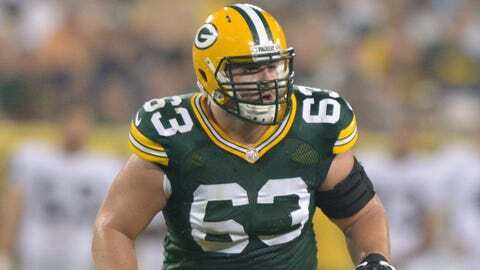 Linsley has been the Packers' starting center throughout his career. He missed the start of 2016 with a hamstring injury, but has started all 16 games in each of the past two seasons, appearing on all of the Packers' offensive snaps in 2017. An all-time great at Wisconsin and a fan favorite once he joined the Packers, Abbrederis just never caught on in Green Bay. He missed his entire rookie season with a torn ACL, then appeared in 10 games in 2015, finishing with nine receptions for 111 yards. He made just five appearances in 2016 before landing with the Lions the following season. He retired from football earlier this year, returning to his native Wisconsin. 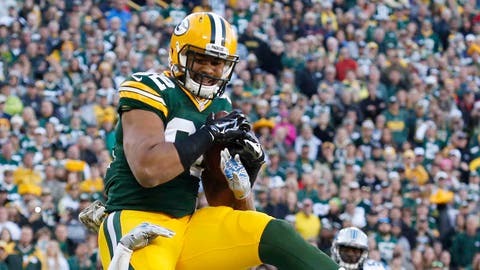 Used mostly on special teams during his first few seasons with the Packers, Goodson started three games in 2016 before suffering a serious knee injury late in the year. 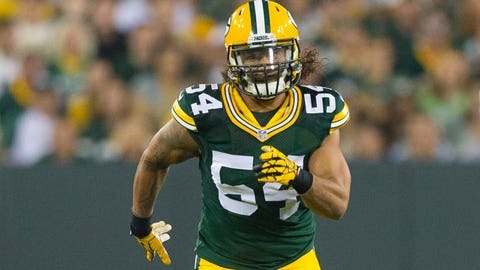 He suffered a hamstring injury in 2017, missing the entire season, and was released by the Packers last September. Goodson caught on with the New Orleans Saints in October, but was released a few days later. Janis' size and speed endeared him to Packers fans early. He went off during a playoff win over the Arizona Cardinals during the 2015 postseason, racking up seven catches for 145 yards and two touchdowns. 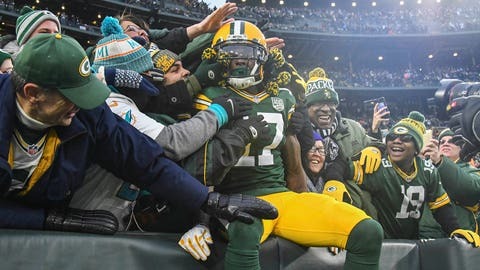 He was never able to replicate that success during the regular season, however, finishing his Packers career with just 200 receiving yards in 51 regular-season games. 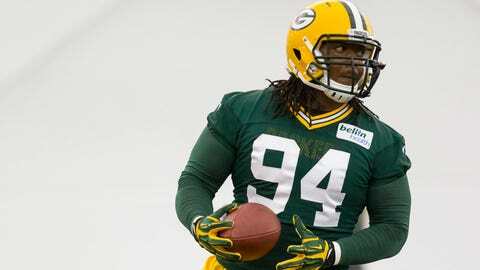 He signed with the Cleveland Browns last year, but was released before the season started.